Ooh a new dinosaur TV series in the UK. That's big news in our house! My nearly five year old son has been fascinated with dinosaurs since he could talk, possibly before, but he couldn't tell us! Planet Dinosaur is a new dinosaur documentary from the BBC. We loved the Walking with Dinosaurs series so we're facinated to see what can be achieved with modern CGI. The makers of Planet Dinosaur have been busy researching the latest paleontology so we'll be getting the latest dinosaur science. We've been looking forward to Planet Dinosaur because we've watched all our favorite dinosaur DVDs so many times it's great to have something new! The Planet Dinosaur Book to accompany the series is available now. 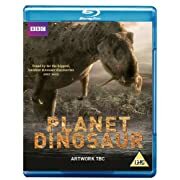 The BBC Planet Dinosaur Blu-Ray and DVD are available for pre-order for release on October 24th, in plenty of time for Christmas. Click to images to order or pre-order. 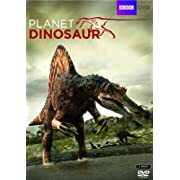 Is Planet Dinosaur any good? Planet Dinosaur is superb! The dinosaurs are full of life and very realistic. We watched it in HD which looks amazing. We've recorded it so our sons can watch it tomorrow. My older son is nearly 5 and this is just perfect for him. It's full of facts on what dinosaurs ate and how they lived and he's an absolute sponge for that kind of information. In terms of the content they've got it spot on for boys like my son who love dinosaurs. 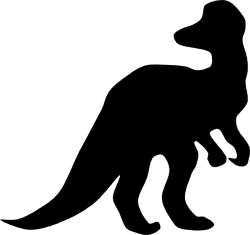 It mentions newly discovered dinosaurs that tower over T-Rex - he loves carnivores, the bigger the better! And the first episode looks at Africa - he's fascinated by anything to do with Africa. When is Planet Dinosaur On? Dinosaur Planet is on wednesday evenings at 8:30pm on BBC 1. The first episode was shown on Weds 14th September. This is way after my boys' bedtime! So we had to record it. There's some dinosaur violence in the show so we'll watch it first to make sure there's nothing the kids won't be comfortable with. How Many Episodes of Planet Dinosaur will there be? "New finds from Africa have revealed some of the most spectacular dinosaurs ever known." Oh wow! My son is fascinated with Africa and loves to know where dinosaurs lived. I think we're going to like this series! How Long is Each Episode of Planet Dinosaur? Each episode of Planet Dinosaur is 30 minutes long. So with 6 episodes we'll be getting 3 hours of dinsoaurs. Fantastic. Will Planet Dinosaur Show in the US? 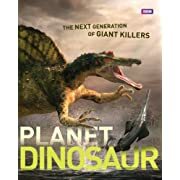 I don't know if Planet Dinosaur will be shown in the US, but I think it's very likely given the success the BBC's Walking with Dinosaur Series in America. At about the same time as the UK gets Planet Dinosaur, the US is getting Dinosaur Revolution - another CGI dinosaur series from Discovery Channel. Looks like we're getting dinosaurs on both sides of the Atlantic! If you're in the US and want to get your fix of british dinosaurs then the two DVDs below come highly recommended from a house of dinosaur fanatics! Deadly 60 is a UK TV programme about the deadliest animals in the world. These toys feature animals from Deadly 60 and their habitats. Do you like Dinosaur Documentaries like Planet Dinosaur?